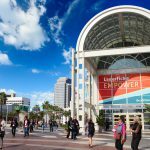 There is no shortage of exciting classes and events planned for the Laserfiche Empower 2015 Conference, including four new classes taught by outside experts—and a thrilling special event. Dr. Rachel Cotter Davis, Partner at RCD, LLC, has more than 20 years of experience in change management and organizational development. She will share how business leaders can lead people successfully through change, engage people’s hearts and minds and help them get ready to deliver the business result of impending change. Chris Cartrett, Document Management Coordinator at the Town of Palm Beach, FL, Brad Eudy, Systems Administrator, ITS, at Cabarrus County, NC, and Joe Labbe, CEO of RatchetSoft, will share practical and innovative strategies for integrating Laserfiche with programs such as Tyler Eden, Microsoft SharePoint, Accela and more. This class includes best practices for planning and managing integration projects, strategies for securing end-user buy-in and how to avoid common pitfalls for integration projects. Chris Wynder, Ph.D., Senior Consulting Analyst at Info-Tech Research Group, will share a model for long-term success with information management, including tactical methods for defining the value of content and reinvesting in Laserfiche. This class also covers how to make the business case to make Laserfiche a larger part of your technology portfolio. 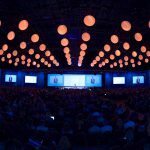 Ken Chin, Research Vice President at Gartner, will explore how ECM is transforming to deliver value as the convergence of mobile, social, cloud and information become the platform for digital business. Ken will also share strategies that will help enterprises accommodate the changing landscape. SE103: Rock Out with Laserfiche on Wednesday Night! Back by popular demand, NRG (pronounced “energy”) is bringing its dazzling musicianship to a whole new level. This 13-member band will take you on a musical journey with song and video performances inspired by rock icons from the 1950s to today. Having toured with stars like Stevie Wonder, Elton John and The Eagles, the members of NRG are sure to take you on an epic and authentic voyage through rock n’ roll history! Already registered for Empower 2015? Add these classes and the special event to your schedule now! Not registered yet? Don’t miss out on the excitement—register for Empower 2015 today!